Freddie and I have a little routine when we arrive back home from dropping the girls off at school. When we walk in, I get him out of the pram, we take our coats off and keep them. Then we both sit down and help each other get our shoes off and keep them in the cupboard – it’s the cutest little thing that I hope to remember. I will sit on my white wicker chair by the shoe cabinet, and he will sit on the bottom step of the stairs. 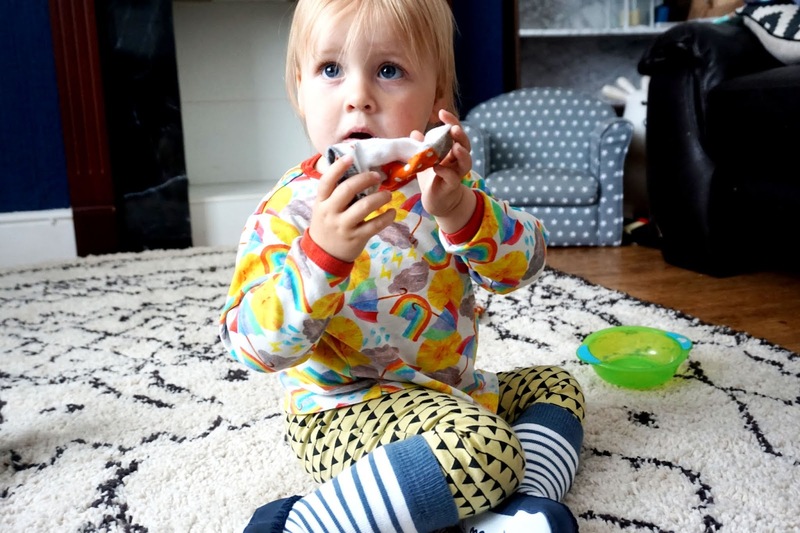 Freddie has always been fussy with slippers, he would either just refuse to wear them or just take them off after a few seconds of wearing them, which is a pain because with socks he can easily slip as we have wooden flooring which can be very slippery at times. 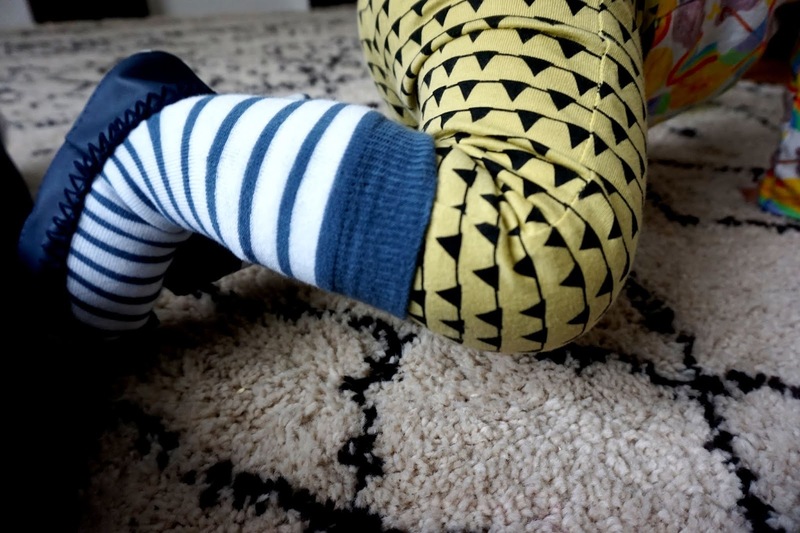 We were sent a pair of Mocc Ons from Sock Ons recently, and I was overly pleased with the quality and the thickness. It wasn’t too thick where his feet would get too hot, but they weren’t thin either, it was just in the middle and fantastic quality. 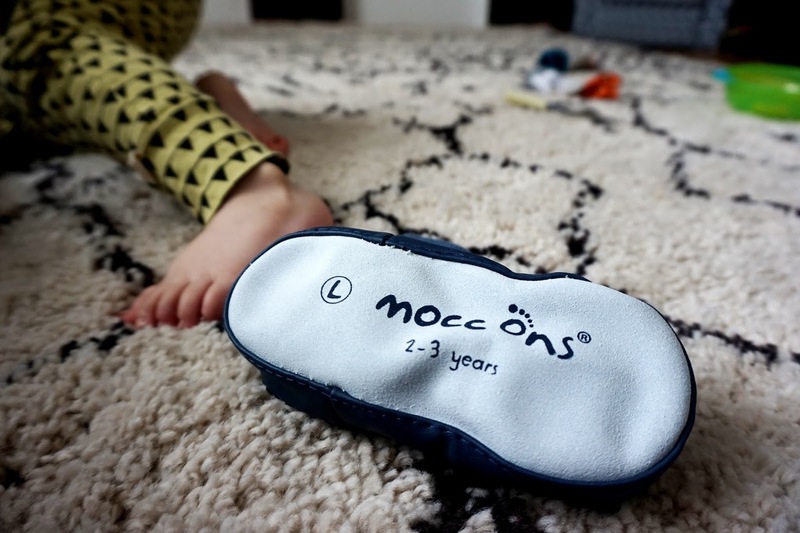 Mocc ons come in 13 different unique designs and are for babies from 6 months up to young children of 3 years old. 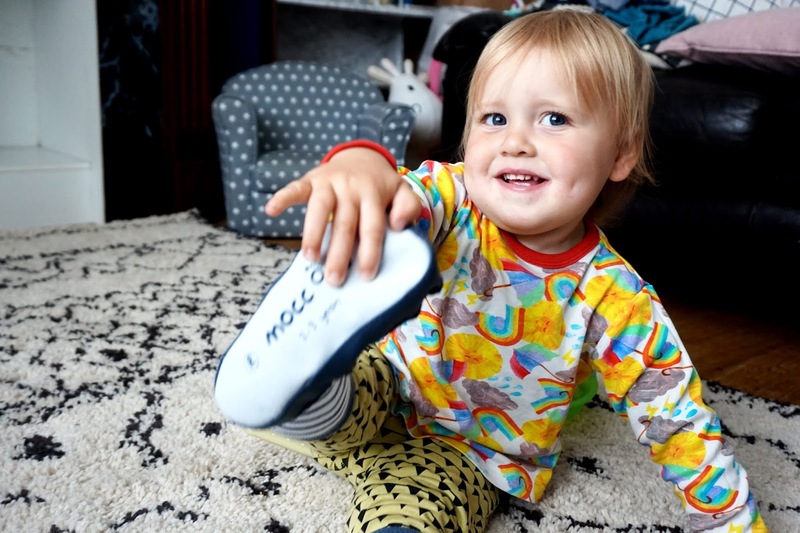 They are stretchy and have a good gripping sole too with their high-quality leather soft sole. 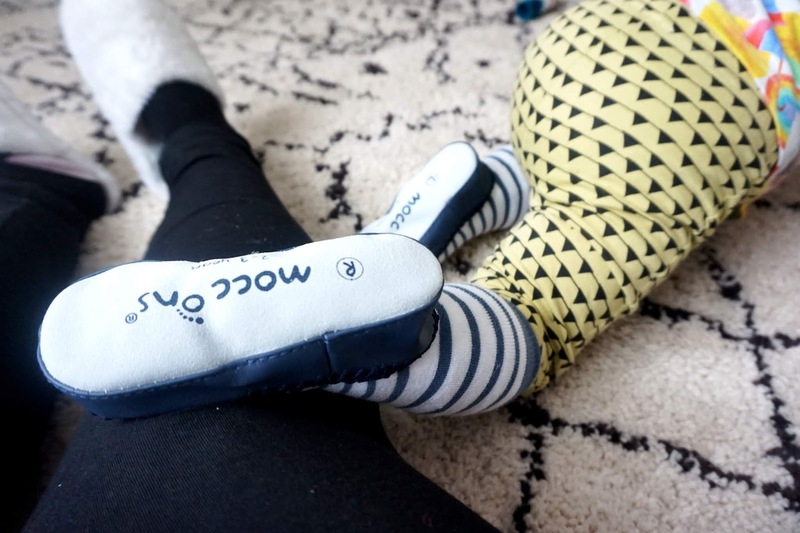 They are perfect for keeping his and all other babies’ little feet nice and warm during the winter days but also keeping them nice a cool and cosy during the warmer days too. It’s always nice to wear slippers when you’re in the house, I live in my slipper when I’m at home. We were kindly sent this product for the purpose of this honest review.